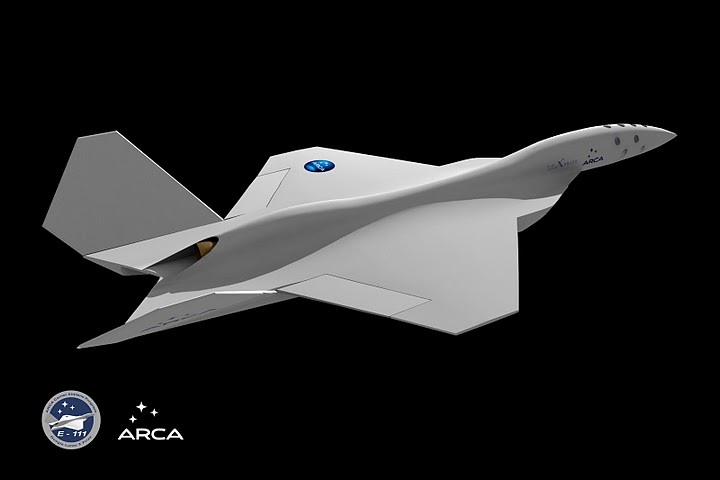 After launching the first Romanian space rocket, the Romanian Association for Aeronautics and Astronautics, ARCA,announced that it will start tests with the first Romanian supersonic plane in mid 2011. ARCA hopes that by 2015 it will send a robot on the moon’s surface as part of the Google Luna X Prize contest where 20 organizations attend. The association announced the E-111 project, which sees the construction of the first Romanian supersonic will reach a speed of over 1,500 km/h. Tests will start in mid 2011. The plane will be built at Ramnicu Valcea. The Orizont vehicle is extremely simple to ensure a high reliability and low production cost. The entire vehicle has a length of 14 meters (46 feet), a diameter of 1.4 meters (4.6 feet), and weighs 7,000 kg (15,430 pounds). The vehicle will take-off vertically, from a launch pad and accelerates to a speed of about 1,300 m/s. At 40,000 m the engine will shut down, and the vehicle will continue to coast to an altitude above 100 km. The acceleration will be no greater than 3.5G. The crew capsule separates from the launch vehicle at an altitude of 80 km. The return to the surface of the Earth of the Orizont vehicle will be made in two separated pieces. One piece will be the rocket, and the other will be the capsule. Both will have a parachute recovery system, and they will land on sea. The main parachutes will be deployed at an altitude of 4 km. Helicopters will recover both the capsule and rocket. The occupants of the capsule will stay in the vehicle until the helicopter will transport the capsule to the land.